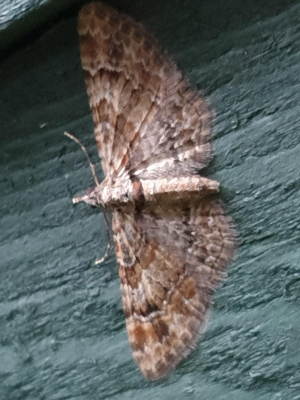 Observation - Double Striped Pug - UK and Ireland. Description: My first of the year. Neither made it into the trap but took shelter on the fence near by. My first of the year. Neither made it into the trap but took shelter on the fence near by.